During that horrifying moment of impact in an auto accident, your body is accelerated one way while your head momentarily stays in the same position, causing hyper-extension of your neck muscles, ligaments, and tendons. In many cases, your body then tries to compensate for this misalignment by jerking your head forward, which can cause further tissue and ligament damage. This strain is what we refer to as “soft tissue damage” because your tendons and muscles are soft in comparison to your bones. Our doctors in Atlanta, Riverdale, and Decatur are familiar with the needs of auto accident injury patients. Dr. Stuart Schlein has been providing chiropractic relief to patients in our metropolitan area for nearly three decades. Dr. Schlein utilizes multiple forms of treatment and therapies to help his patients make a full recovery. Although a visit to a hospital may ensure there are no life-threatening or internal injuries, damage to joints and muscles often goes untreated. If medication is necessary Dr. Schlein and staff can refer you to a medical doctor. Our friendly staff of Chiropractors and assistants are trained in the fields of Orthopedic, Neurology, and Pain Specialization. We are highly qualified in handling all types of personal injury accident cases. This includes automobile accidents, motorcycle accidents, tractor-trailer accidents, pedestrian accidents, boating accidents, and train accidents in Atlanta. Patients have been known to travel from Decatur, Riverdale, East Point, Midtown, College Park, Hapeville, Forest Park, Austell, Morrow, Union City, Marietta, Lithonia, Chamblee, Roswell, and other surrounding areas to treat with Dr. Schlein and staff. 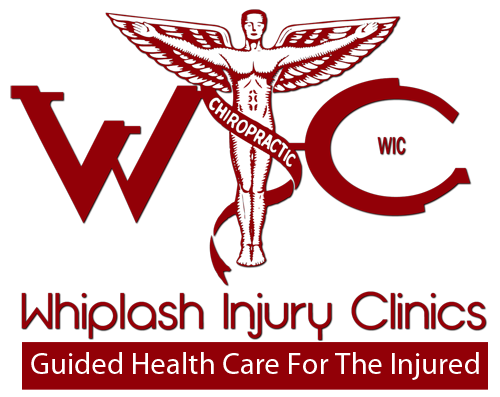 Whiplash Injury Clinics are dedicated to helping victims of vehicular accidents as well as healing soft tissue and other spinal injuries resulting from an automobile accident. We like to ensure that all of our patients are as comfortable as possible during the rehab process. As your medical rehabilitation doctors we assist your personal injury attorney by providing them with office notes and comprehensive reports for your settlement case, allowing you to have the most successful outcome.